It happens. General counsel get fired—and sometimes fired very publicly. And law firms are rarely prepared for the unexpected people changes at their clients, let alone have a clear plan as to how they might impact the work and the larger client relationship. 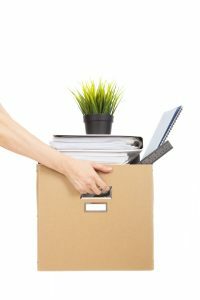 Ironically, law firms spend significant time thinking about what may happen if a partner leaves and integrating laterals (while hoping work will follow those lawyers), but too few firms have a strategic plan of what to do when a client contact suddenly leaves, either by choice or otherwise. The impact of loyalty. Law firms rightfully believe that clients hire lawyers and not law firms. As a consequence of that, those firms that either take for granted the permanence of a relationship or have failed to even attempt to develop other relationships at the client organization will lose clients. The role of “others” at the client. Law firms don’t cultivate relationships with enough influencers and future potential client contacts. Law firms fail to invest in relationships at clients other than those who are directly responsible for assigning specific matters. They fail to engage in understanding the client hierarchy and learn who the rising stars may be or which other players may be in a position to influence or directly assign matters. The dynamic nature of client organizations. Countless times, we have learned in client interviews that the firm’s assumptions about roles and responsibilities are way off the mark. People who were once in a position to work with the firm move into other roles, and some organizations change responsibilities rapidly. Firms struggle with CRM systems, and lawyers who have not worked with a client in months, if not years, may not have any awareness of the origination changes. It is almost embarrassing when we reach out to clients to schedule interviews and find out that person “is not the right person” to interview (or is even gone from the company). Regularly ask clients about recent or potential organizational changes. Engage admins and assistants in keeping contact lists updated. Connect with clients on LinkedIn, and check to see when and if changes happen. Even keep those pesky alerts active. Develop a relationship map. It is not necessarily natural for the relationship partner to have contacts at the client up and down an organization. Figure out the right person at the right level at the firm and at the client, and assign those individuals at the firm that have an aligned contact to stay in touch. Finally, once the contacts from the relationship partner on down are mapped, develop a plan to connect with clients and engage with them about their personal and professional goals. When the unexpected client departure happens, be empathetic to that individual. Reach out to connect and offer any help with the next professional step if appropriate. But never, ever take for granted that the work will stay or others who will step in to fill the vacancy have the same level of loyalty as the person who was once at the center of the relationship.